The Robber's Roost primitive roadside campsite is located near the middle of the Juniper Canyon Road. 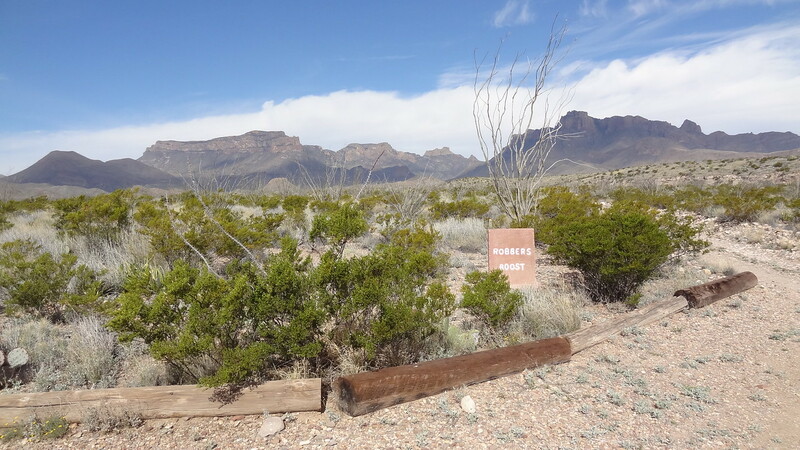 Via the Glenn Spring Road, 7.1 miles from the junction of the Glenn Spring Road and the main paved park road to Rio Grande Village, along the west side of the road. The Juniper Canyon Road is 5.5 miles in length and ends at the Dodson/Juniper Canyon trailhead. 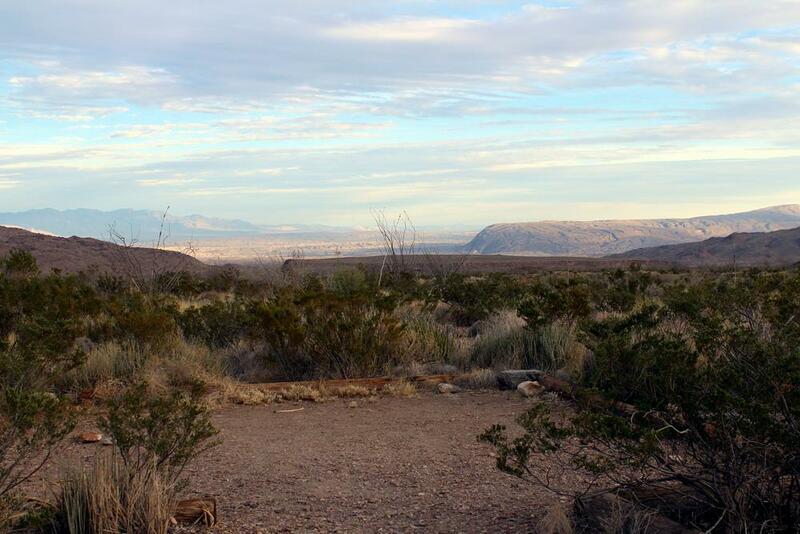 The Robber's Roost campsite is 2.6 miles up the Juniper Canyon Road. The Glenn Spring and Juniper Canyon Roads are recommended for high clearance vehicles only. Road conditions can deteriorate quickly after heavy rains. Ruts are the norm on this road. There are many arroyos to cross. The section of road before the Juniper Canyon Road is very rough and needs to be driven slowly and with great caution. This is not a good place to break down! Ask a Park Ranger for the latest road conditions. Minimal shade. Moderate ground cover. Three tent pads and ample parking provide an excellent location for camping and medium-sized groups. 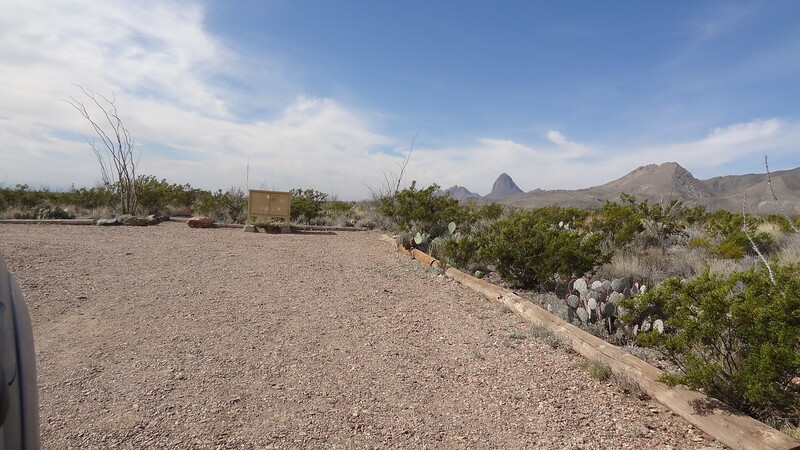 Good views of the Chisos Mountains (South Rim) to the west. Elephant Tusk and Backbone Ridge are also visible to the south. The road can deteriorate rapidly after rain. High clearance vehicles are highly recommended at all times, and 4-wheel drive may sometimes be necessary, especially after rain. The portion of the Glenn Springs Road before the Juniper Canyon Road is very rough. Hikers using the Dodson/Juniper Canyon Trails will park their vehicles at the end of the road (above both the Robber's Roost and Twisted Shoe campsites). 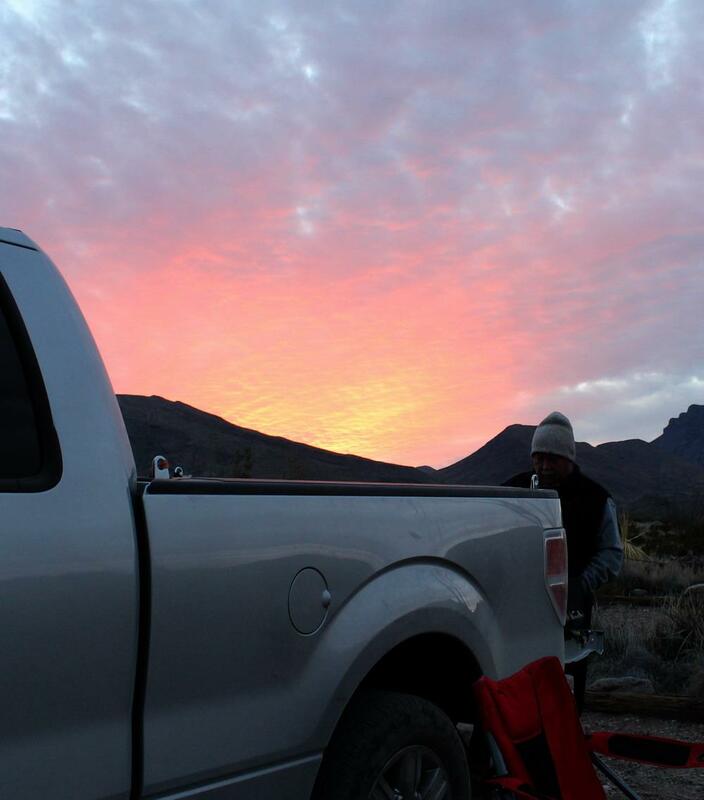 Lock and secure your vehicle and valuables while you are away from your campsite. 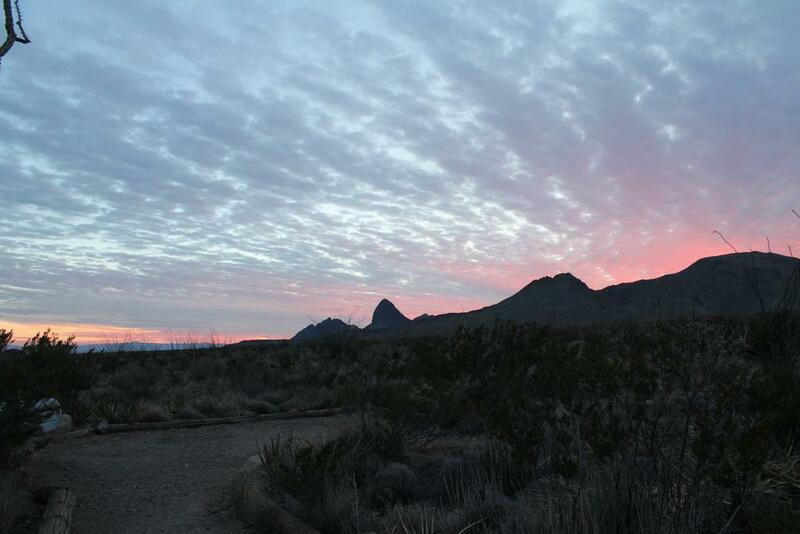 The Robber's Roost campsite is named in honor of the nearby home site of the same name, owned by Captain C.D. Wood, owner and operator of the Glenn Springs wax factory. 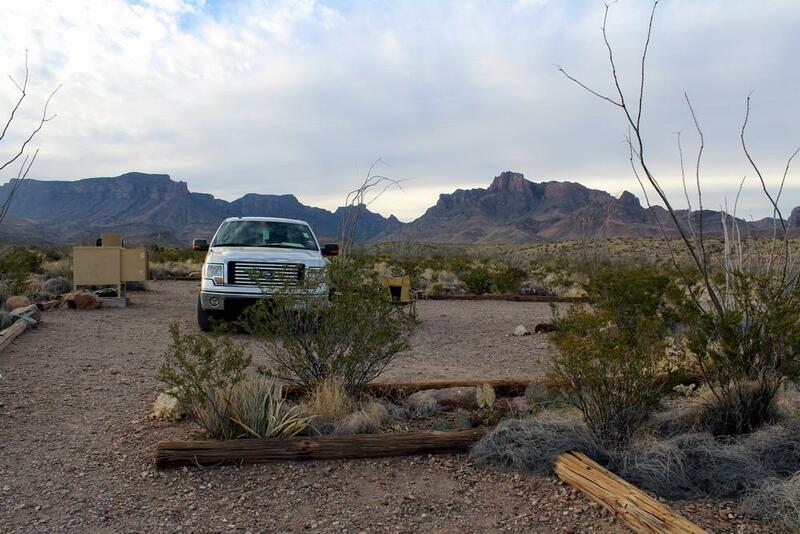 This campsite was established in November 2006 to replace the former Juniper Canyon 2 campsite located at the end of the road.